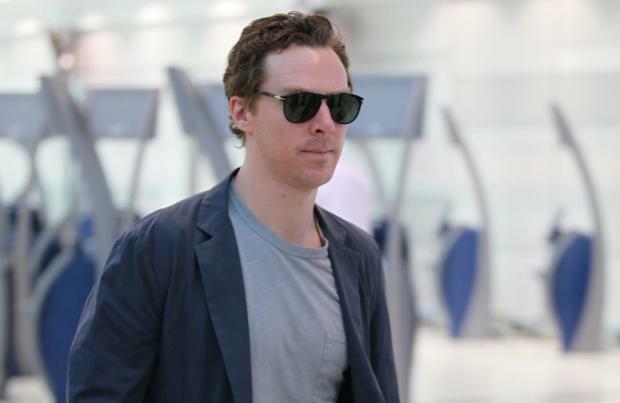 Benedict Cumberbatch admits he is his "own worst critic" and say his criticism is "sharper than anyone would ever suspect"
Benedict Cumberbatch is his "own worst critic". The 'Doctor Strange' star admits he is critical of his own acting performances and says his criticism of himself is "sharper than anyone would ever suspect". Speaking about his role as Patrick Melrose in the on screen adaptation of the novels, he told The Sunday Times' Culture magazine: "You always approach a much-loved literary character with trepidation. Because I know I'm not making the movie I have in my head as a reader of these books, let alone everyone else who comes to it with their expectations ... I'm not perfect casting in everyone's eyes. And on top of that there's my own criticism, which is probably sharper than anyone would ever suspect. I'm my own worst critic, I really am. It's both a godsend and a curse." Meanwhile, the 41-year-old actor - who has Christopher, two, and Hal, 13 months, with his wife Sophie Hunter - finds it "horrible" watching back his performances because he is "brutally" honest with himself. He explained previously: "It's different when you've got a producer's hat on. If you're front and centre, that's really hard. I'm excited about the moment when I'm not in something and I can look at it with more more distance, but it's very peculiar. It's always horrible - the way you look, the way you do things. It's just horrible. Trust me, the internet's full of hate but it's nothing compared to the self-critic in your head for brutality. I've said it all before they have."